Local businesses have come together on Dublin’s Mary Street to try and curb the problem of drug use in the alleyways behind their street. A GROUP OF north Dublin shops and businesses have come together in a bid to stem the problem of drug abuse in the alleys and laneways next to their businesses. The businesses in question acknowledge that they would “like to move it (drug use) further astream”, but that doing so “doesn’t fix the problem, it just moves it out of the way”. One business owner in the area around Mary Street on Dublin’s north side says of the drug users in the vicinity: “the poor unfortunates don’t interfere with anyone if they can help it”. But would such activity on the streets next to a retail district be enough to stop you from shopping there? We’re asking: Would drug abuse on the street put you off shopping in an area? Email “Poll: Would drug abuse on the street put you off shopping in an area?”. 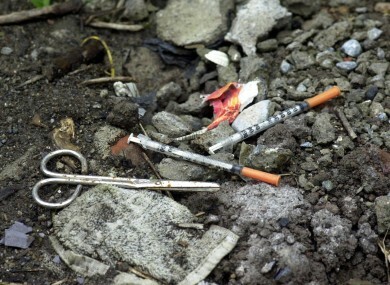 Feedback on “Poll: Would drug abuse on the street put you off shopping in an area?”.